"Good night. Sleep well," says Amelie's Mom every evening. But all too often, the little Amelie is not tired at all, which leads to many eventful happenings in her room before she goes to sleep. Amelie discovers the magic of nose drops, hides from a violent storm, wishes upon a shooting star, plays with dancing ghosts on her wall, and much, much more. 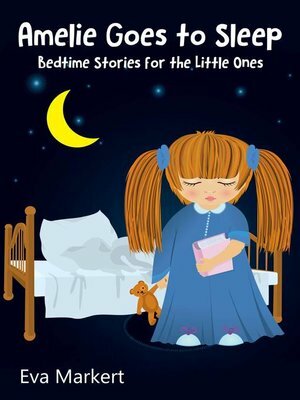 All in all, Eva Markert presents fifteen short stories for putting the little ones to bed.